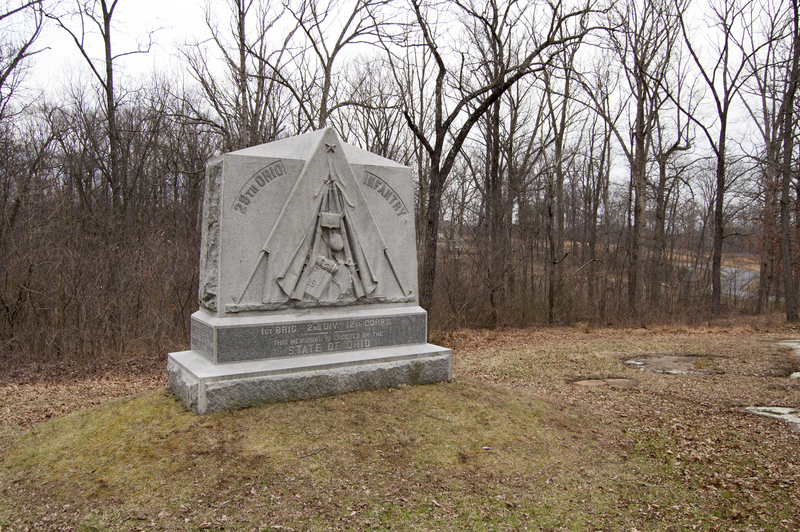 Then: The 29th Ohio Infantry monument, located along the east side of Slocum Avenue on Culp’s Hill. 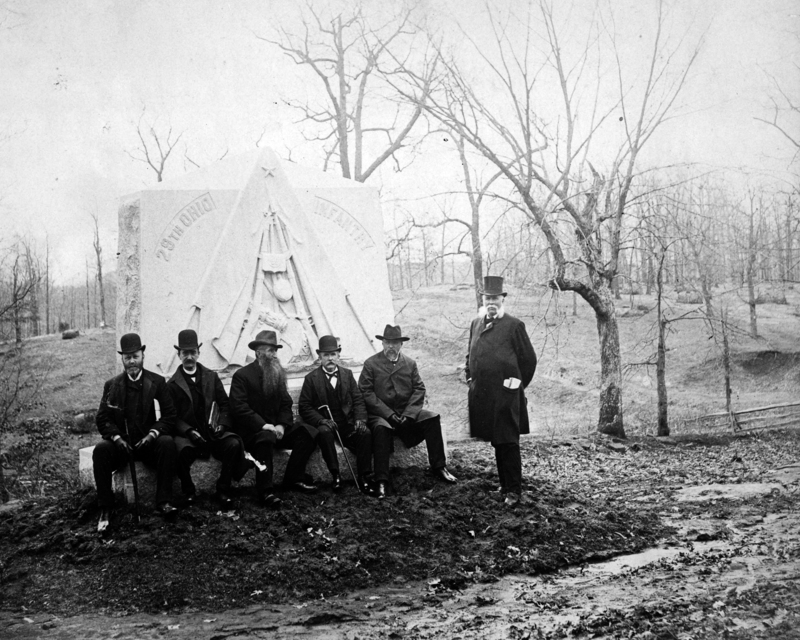 Veterans pose with Gettysburg historian John Bachelder (standing), who was referred to by the Gettysburg Compiler in 1887 as “Colonel John B. Bachelder, of Massachusetts, the well-known superintendent of tablets and legends of the Gettysburg Memorial Association.” The monument was dedicated on “Ohio Day,” September 14, 1887. 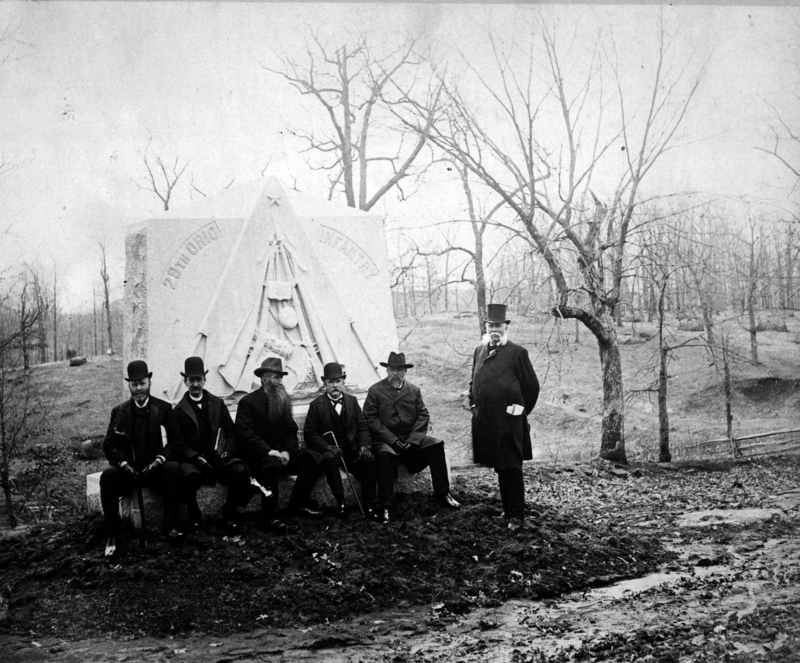 “Ohio Day” in Gettysburg saw the dedication of fourteen monuments to Ohio regiments. 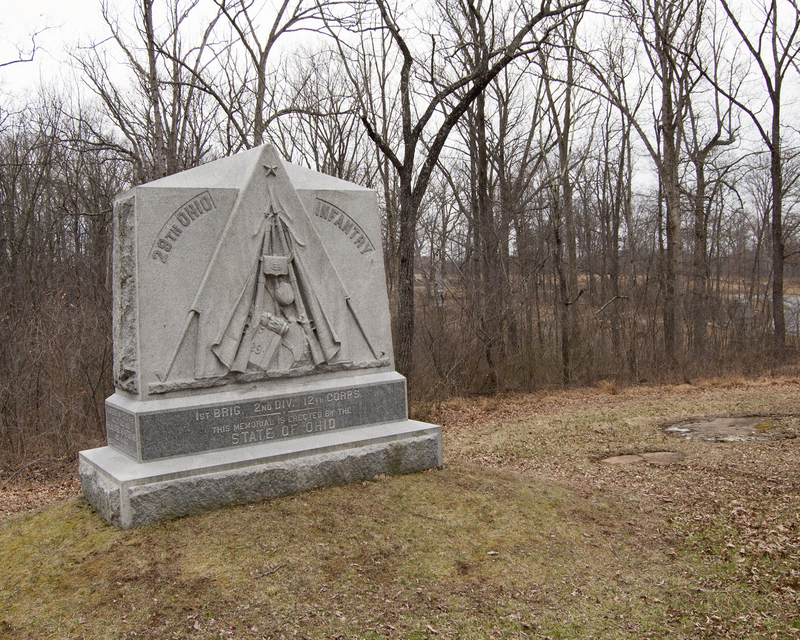 The 29th Ohio infantry monument was referred to in the Compiler as the “massive 29th.” The monument was constructed by the South Ryegate Vermont Company and “represent[s] the front of a wall tent with the flaps thrown back, the space being occupied with a stack of muskets and accoutrement suspended from them.” We imagine that Bachelder and Gettysburg photographer William Tipton were pretty busy on Ohio Day, having to travel back and forth across the battlefield with veterans to create photographs.This photograph was taken facing southeast circa the 1880s. Now: The 29th Ohio infantry monument on a dreary March day.This photograph was facing southeast at approximately 11:30 AM on Saturday, March 4, 2017. Drag the slider left and right to compare the past and modern views.